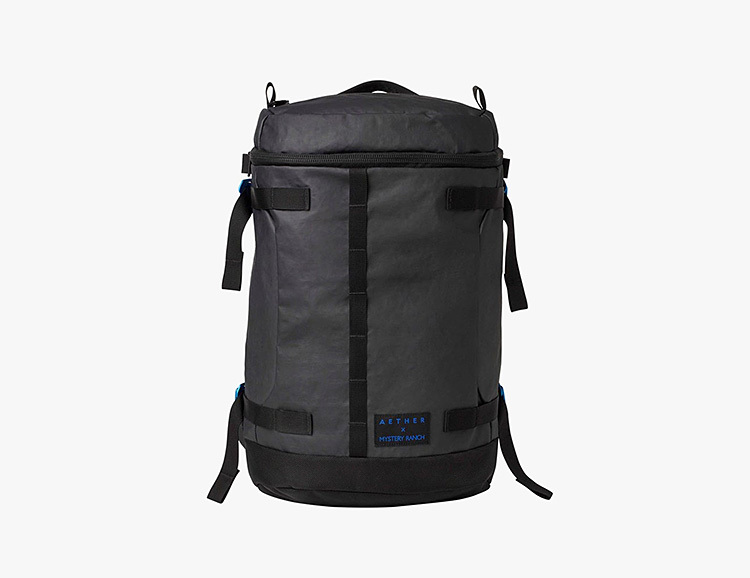 For the creation of this compact 21-liter daypack, Aether teamed up with legacy backpack brand Mystery Ranch. 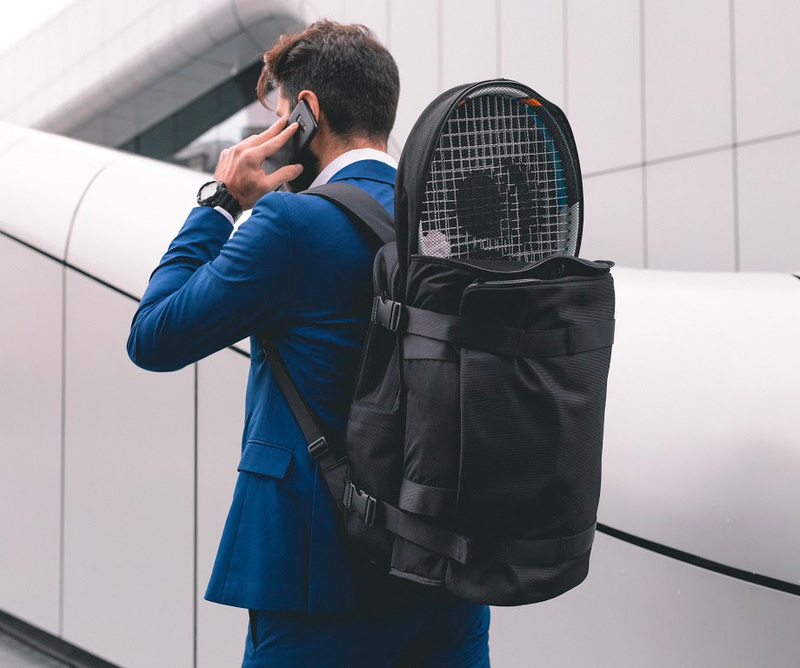 Constructed of water-resistant nylon, it’s a refresh of MR’s popular top-loading Flip pack featuring aluminum hardware, internal laptop & tablet sleeves, and a pocket for a water bottle. 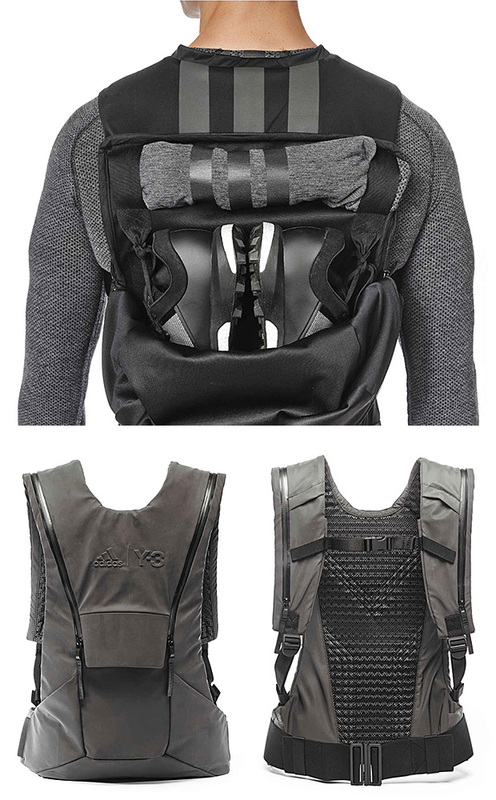 Now a decade-deep in futuristic sportswear design with Adidas, Yohji Yamamoto’s Y-3 line adds a sport backpack that blends a tactical vest-like fit with enough space for a camelbak, workout supplies or a change of clothes. 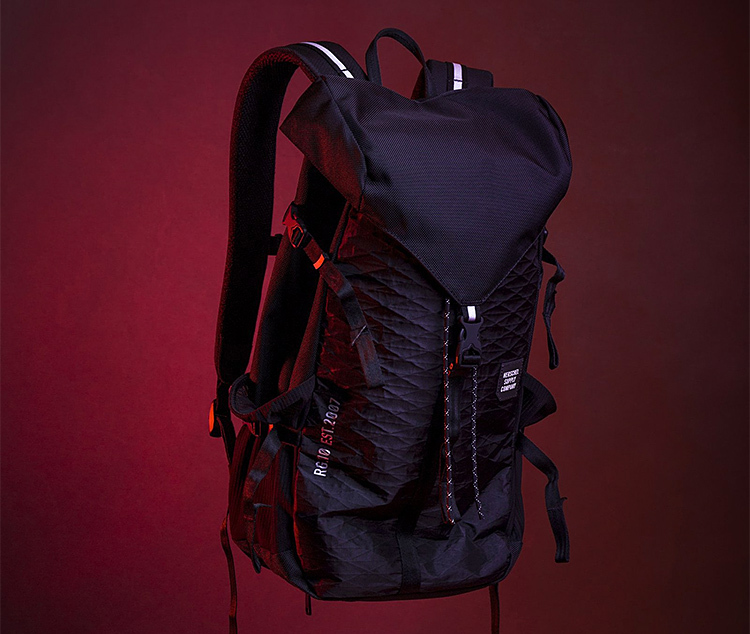 The padded back system is made of ClimaCool & fully ventilated. The Ruckbug external frame backpack is like 2 packs in one. The design is based around a rigid wooden frame that features feet so it stands on its own and a stretch-over closure system for the main compartment that functions like a kayak spray deck. 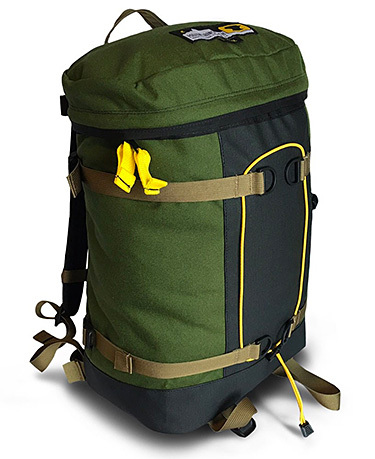 This pack pulls double duty when you remove a few straps & detach the main frame and bag, revealing the carrying system that’s fully functional for hauling firewood, gerry cans & other bulky cargo. To celebrate ten years of tastemaking in Vancouver, postmodern luxury boutique Roden Gray teamed up with Canadian bag brand Herschel Supply Co. for a commemorative collab backpack. The top-loading RG10 urban daypack is made of black diamond sailcloth and features a 15″ padded sleeve with keyclip and neoprene key chain sleeve. 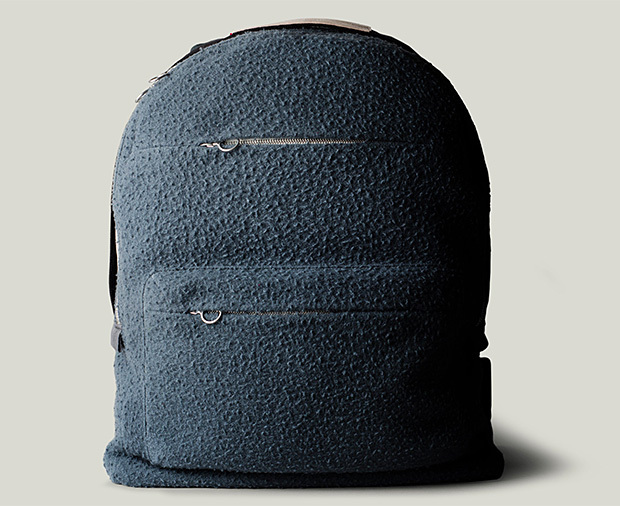 HP made a backpack?! 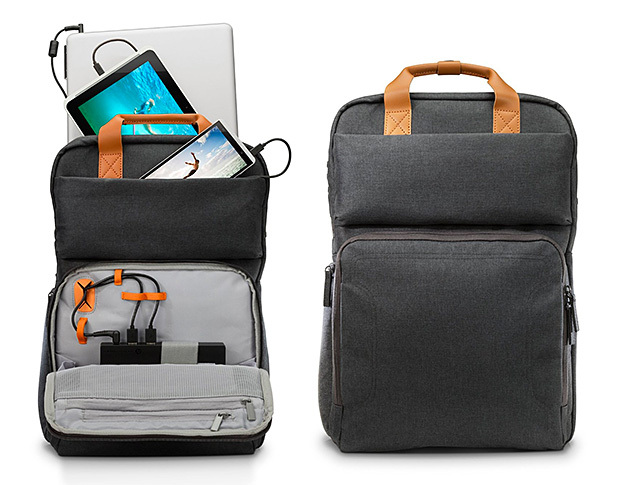 Hidden in the base of this dapper looking canvas daypack is a 22,400K battery with enough juice to power up your laptop, charge a tablet up to three times, and a smartphone up to 10 times. It also comes with 2 adapters & 2 USB cables for your Android devices. 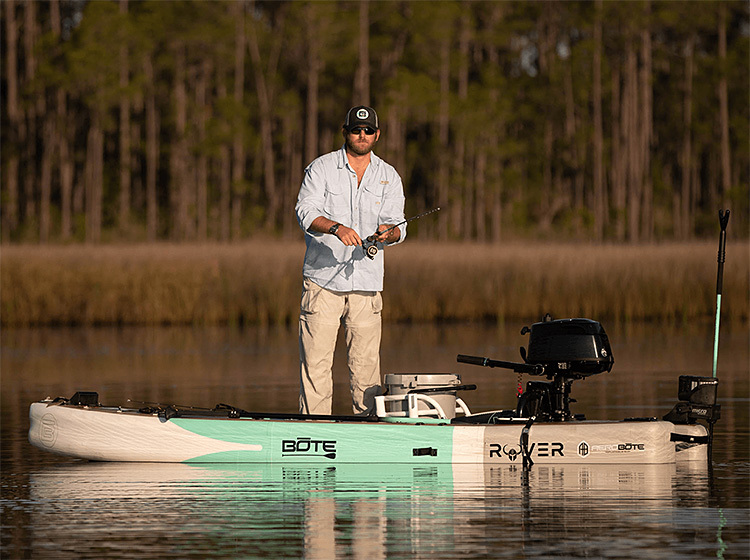 The Rover Aero from Bote is a very portable & inflatable 12-foot boat slash stand-up paddle board that features a modular motor rack that allows you to attach a motor. It can carry up to 500-pounds. Use it for fishing, paddling, or as a dingy to reach your big boat. 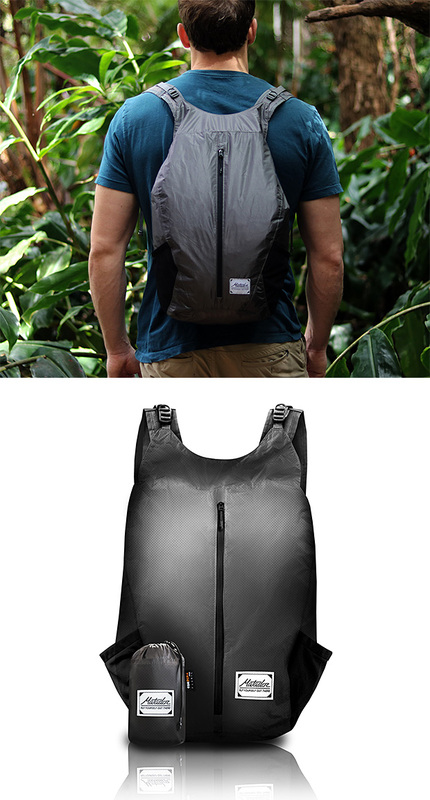 It comes with an adjustable paddle, pump, and it all stores in a backpack, so it’s travel ready. 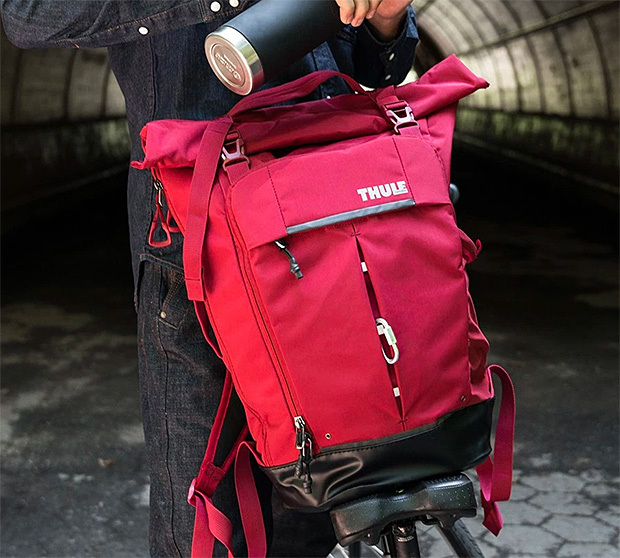 Designed for function in urban environments, the roll-top Paramount Pack from Thule is available in 24-, 27- and 29-liter sizes and is constructed of tough 420D Nylon with a welded bottom. It offers 2-way access to a padded laptop compartment plus multiple padded pockets for a tablet & other electronics and accessories. Renowned Bushcraft specialist Joe Robinet—from History Channel’s Alone series & his eponymous YouTube channel—teamed up with YNOT to create a versatile rucksack for all sorts of adventures. The Wildland Scout is a 30-liter top loader made of 1000D Cordura. It features MOLLE webbing side panels for attaching modular pockets & other accessories; allowing for easy customization to suit every outing. A funded Kickstarter. 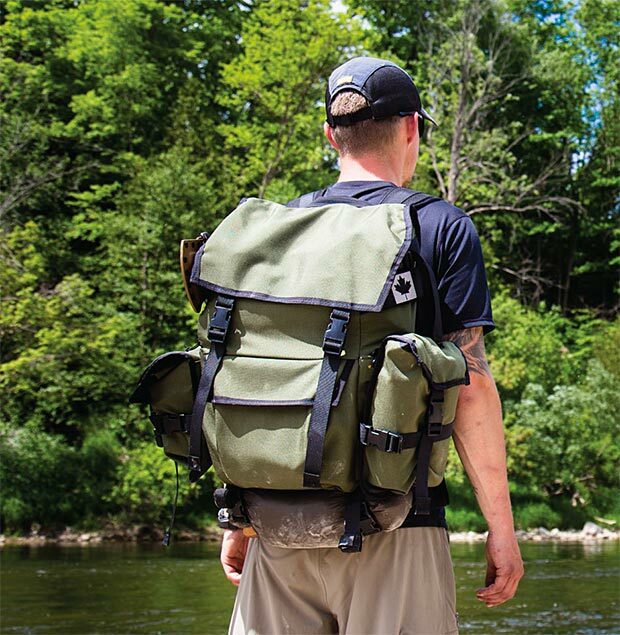 What looks like a simple, one-compartment stuff sack pack is actually an armored carryall for your gear and valuables. The Flak Sack is made with Cut-Tex Pro fabric, the most cut-resistant fabric in the world—5 times tougher than Kevlar. This material also blocks RFID transmissions to protect cards & passports from electronic thievery. 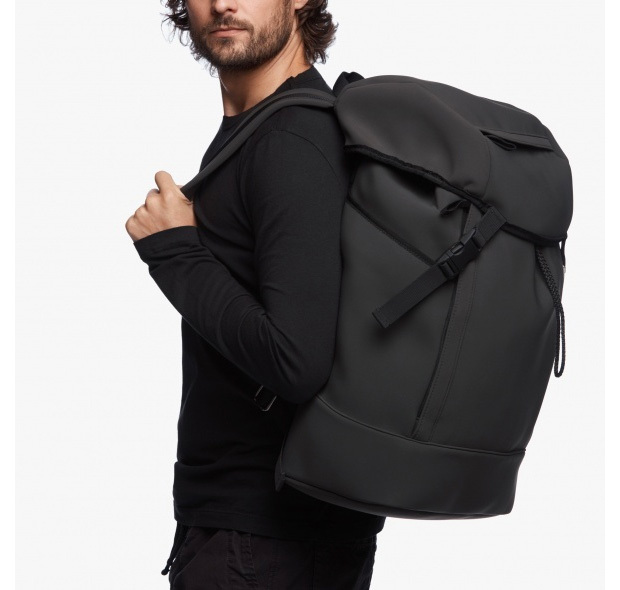 Made with a matte bonded stretch neoprene fabric that gives the pack a smooth look, it will handle the commute and office as well as the wilderness. 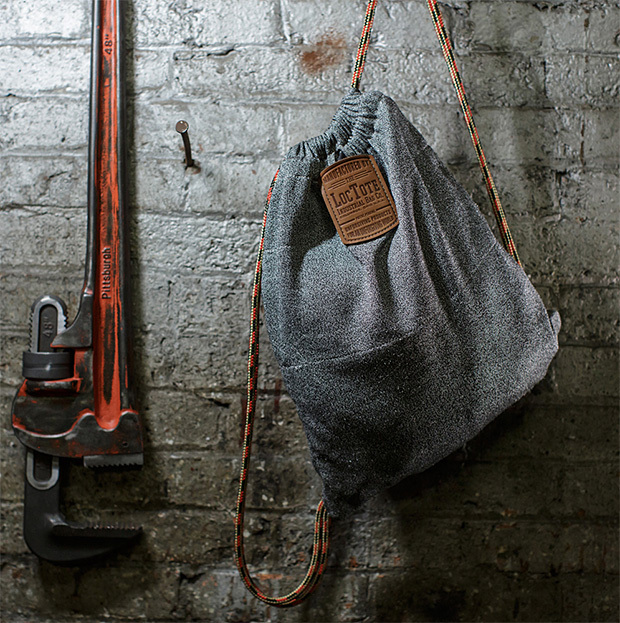 It features a drawstring cinch cord closure with a storm flap top. The backside & shoulder straps are padded. Available in black & carbon gray. Made in Boulder, Colorado from 100% upcycled materials, the USA Tyrol Pack revives an original 1990s design from Mountainsmith’s early days. The limited edition 30-liter top-loading day pack marks a return to USA production for the brand. If you’re going up the ladder or across that matrix of scaffolding, having your hands free is a really good idea. Ask OSHA. 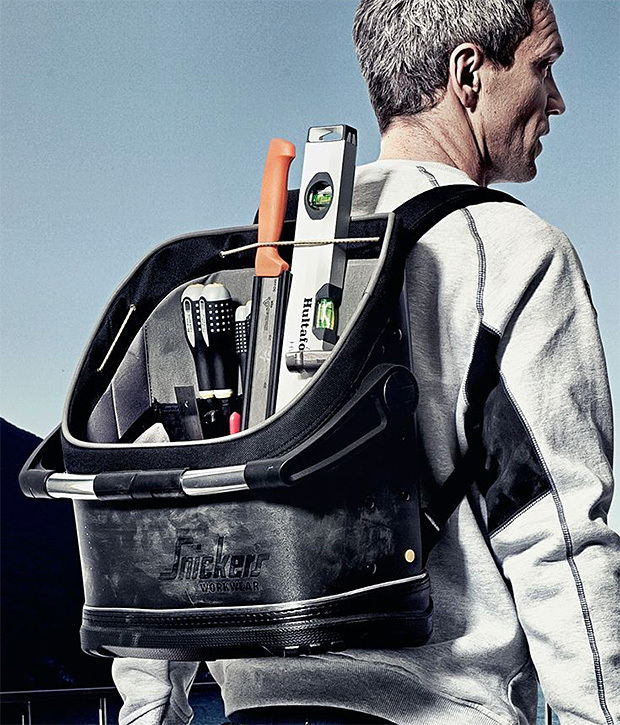 Snickers Workwear came up with a simple solution: they make tool bags & backpacks in a variety of sizes & configurations that will carry your tools & all offer comfortable, hands-free portability. 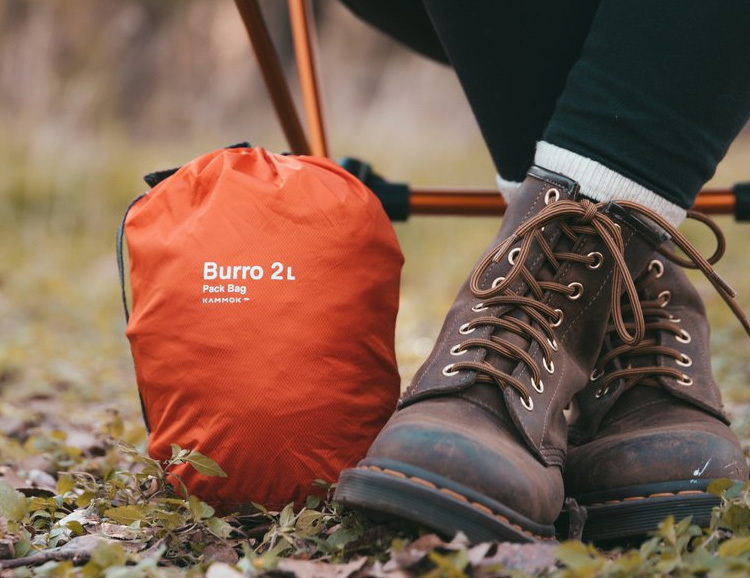 Burro Bag stuff sacks from Kammok come in 5 different sizes—1, 2, 4, 8, & 16 liter, giving you a whole range of little bags to organize your big bag. 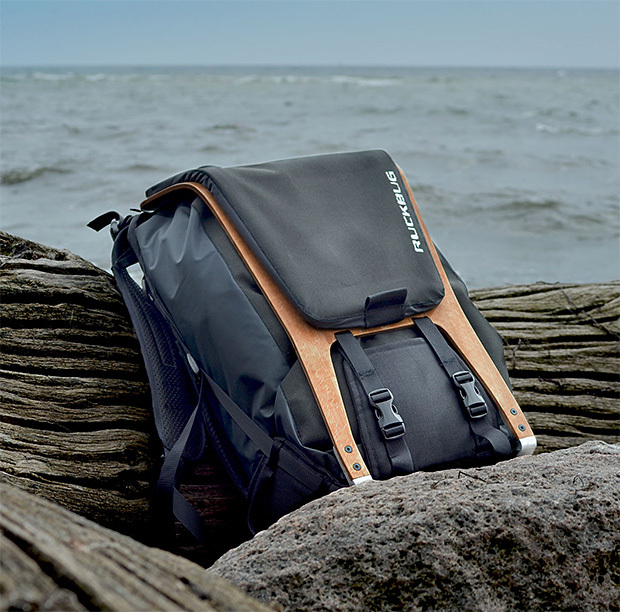 They’re coated with waterproof DWR for weather resistance, and when not in use, each bag stuffs into its own pocket. Made of 300D waterproof cordura and featuring breathable mesh straps, this 24-liter roll-top knapsack from Matador is also packable. 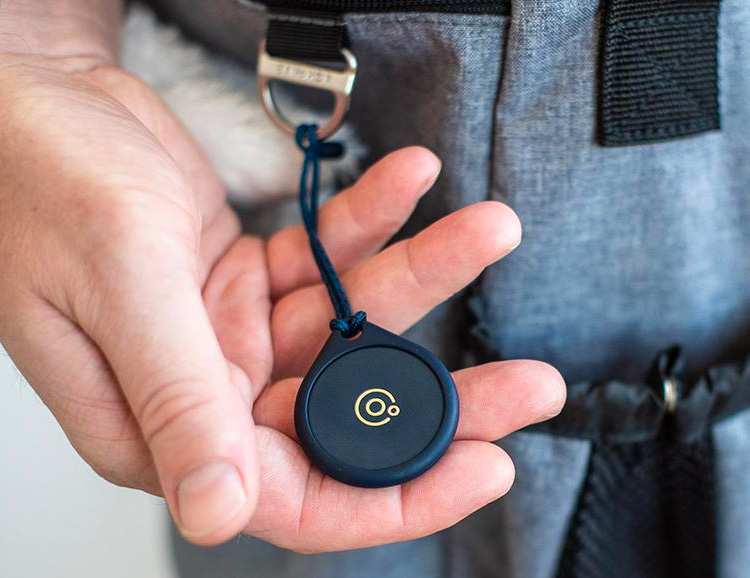 It packs down into a stuff sack that fits in the palm of your hand and weighs just 5.5 ounces. 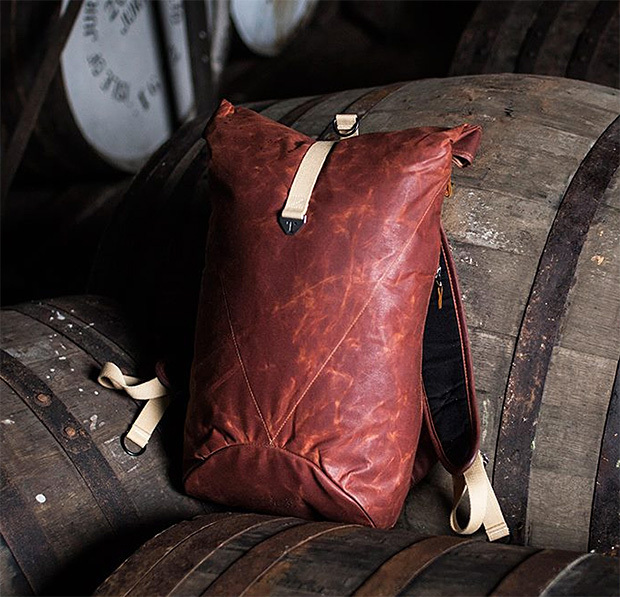 Handmade on the east coast of Scotland, the design of this top-loading, 20-liter waxed cotton daypack was inspired by Jura Single Malt Whisky, a neighbor on the other side of the island. The color of the pack is derived from a dye made using a native lichen. Copper rivets and deer hide details are also locally inspired. Just 130 of these packs will be made. This America-made pack from Kilspencer is compact with a streamlined yet detailed design that keeps everything organized & intact for travel. 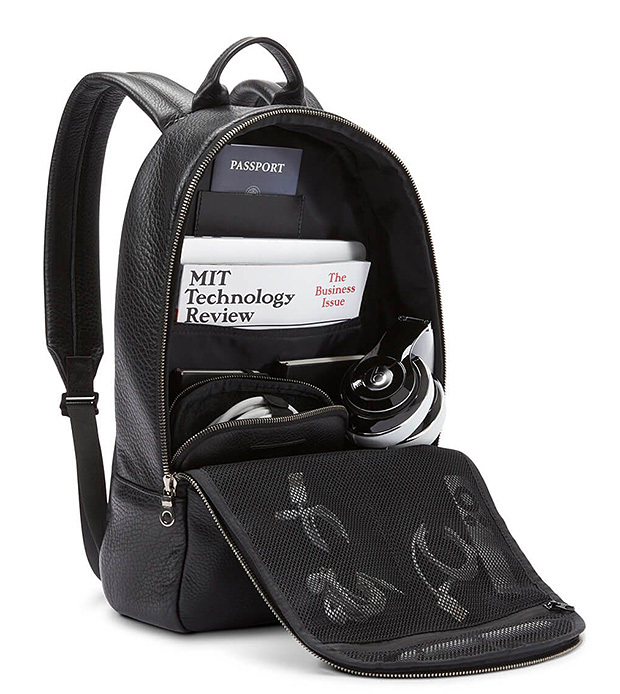 It features high-grade materials like full-grain leather construction & Swiss Riri zippers plus padded pockets for your 15” laptop & other electronics. Available in black, grey, and olive leather or lighter-weight nylon. 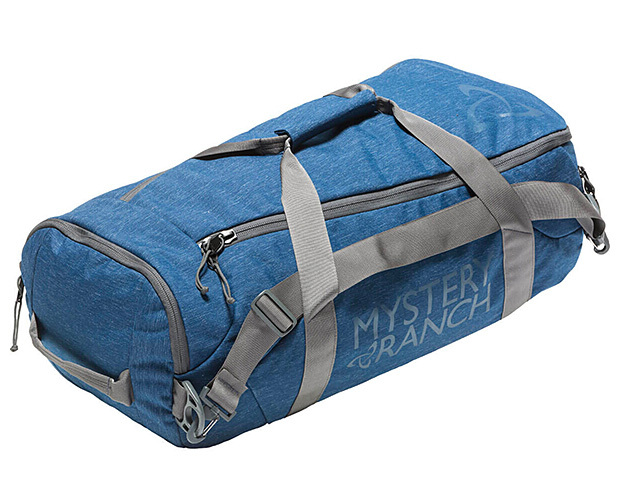 Founded by OG backpack innovators Dana Gleason and Renee Sippel-Baker formerly of Kletterworks & Dana Design, Mystery Ranch has been making bags & packs for serious adventurers since 2000. The latest is their line of Mission duffels. Available in 3 sizes: 40, 55, & 90 liters, these durable duffels are made of 1000D lined nylon, feature YKK zippers and have hidden straps that convert them to backpack carry in a snap.